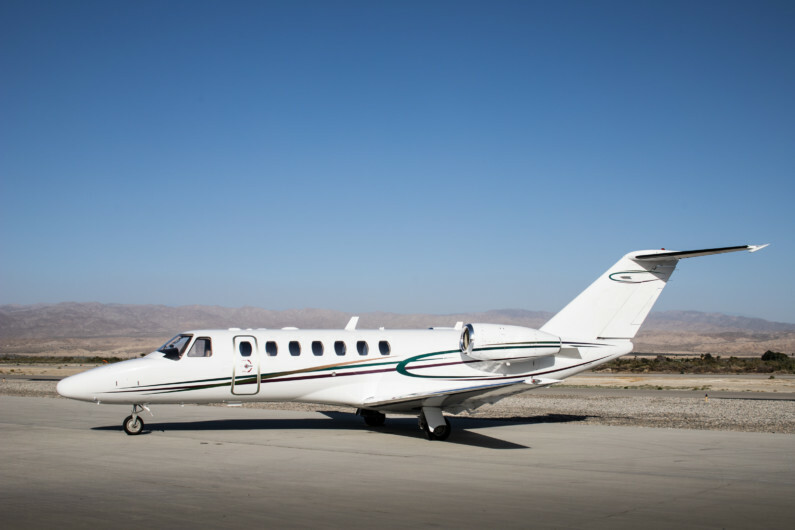 Cessna Citation CJ3 by Desert Jet - with inflight wifi! 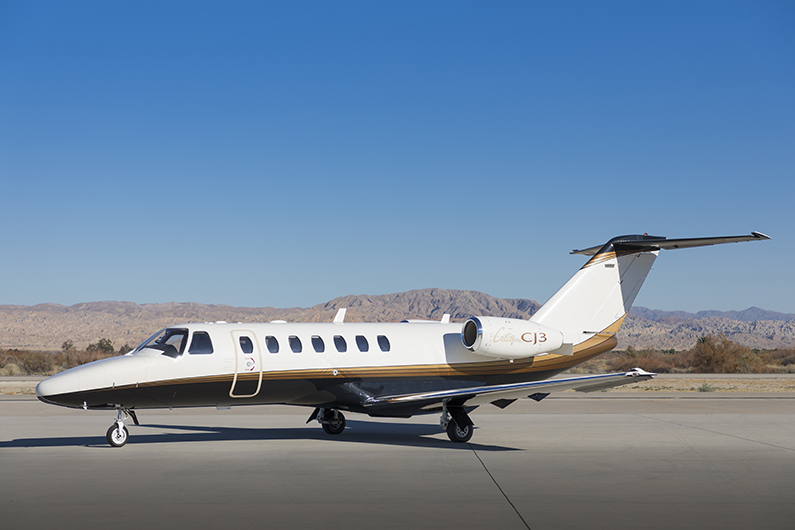 Desert Jet’s Cessna Citation CJ3 is an extremely popular aircraft. 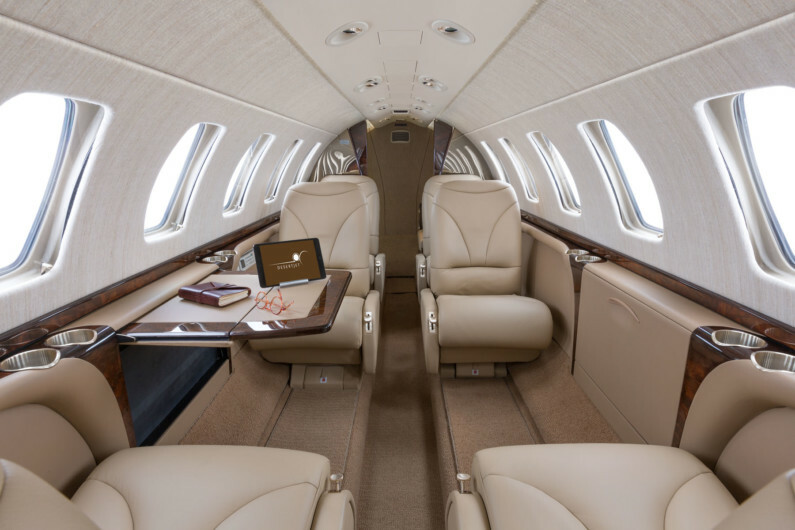 The CJ3 has one of the longest cabins in the light jet class, giving passengers plenty of room to stretch out. The additional stretch in the cabin over the CJ2 makes for an even roomier cabin, which allows for increased productivity. Long-legged people even have room to stretch out and enjoy their time in the plane. Seven passengers can enjoy the bevy of natural light afforded by the fourteen windows. Additional passengers can be flown by utilizing the aft enclosed lavatory seat, which is best for small children. In addition to the increased room in the cabin, there is a tremendous amount of baggage space available. Passengers enjoy the complimentary internet wifi service available on this aircraft. 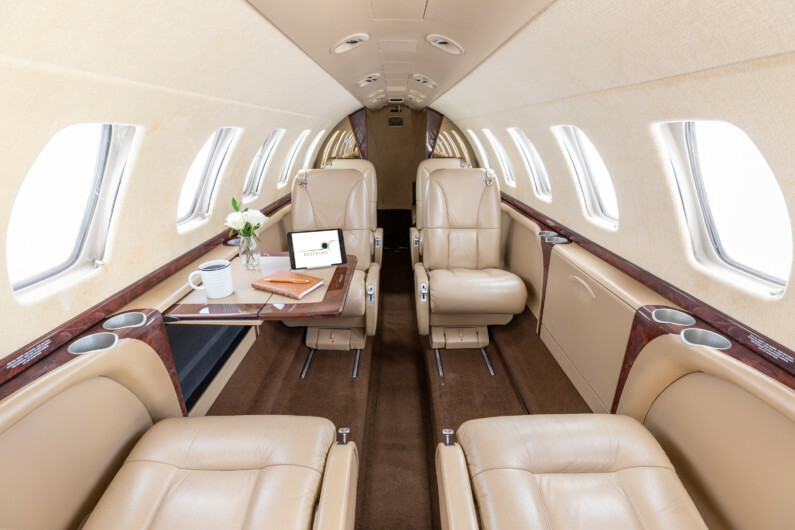 The avionics suite in the Citation CJ3 is the top of the line with the Collins Pro Line 21. The technological improvements do not stop in the cockpit. The airplane also benefits from improved engines. The FJ44 engines by Williams put out more thrust, all the while using less fuel than previous versions. 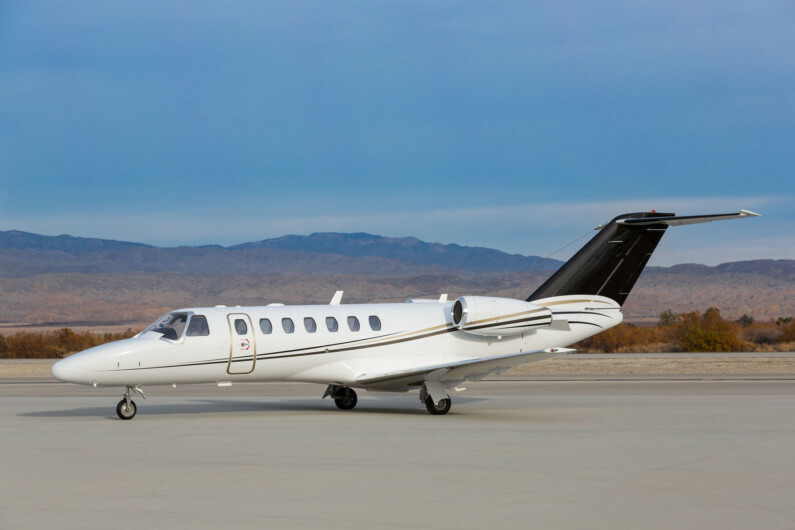 All these improvements allow the Citation CJ3 to carry more weight, farther, using less fuel.